Britain's second biggest energy firm SSE announces 14.9% increase in energy tariffs. SSE, the latest 'big six' energy company declared price rises that will inclusively add more than £730million a year to the cost of using electricity at homes. Ofgem urged customers to switch suppliers, saving on gas and electricity bills approx £300 a year. SSE has the highest proportion of customers on its standard tariff -it means millions of the customer will suffer due to rise in enery prices. Therefore, customers must think about switching or else move to a low-cost fixed rate tariff and you can overcome from this price rise issue." SSE said it "deeply" regrets for rising energy prices since it was out of their control. It also said this was first time they increase price since 2013. Even without this, it was supplying electricity to domestic customers at a loss. Previously, four of the big six suppliers have announced price rises this year, while British Gas has freezed prices until August. Scottish Power will raised prices by 7.8% in dual fuel price with 10.8% on electricity and 4.7% on gas from 31 march. Npower raised dual fuel prices by 9.8% from 16 march. 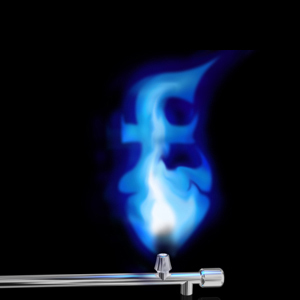 EDF Energy cut its gas prices by 5.2% in January, but its electricity prices rose by 8.4% on 1 March. SSE said that 85% of its customers were on its standard variable tariffs, so they will be affected by April's price rise. So, if you really want to save money you must check how much you could save by switching to a cheaper tariff. You can beat energy price by switching energy supplier. Simply, you have to compare energy prices and find the best deal for yourself. You can do it visiting energy comparison site. You can enter postcode and check. Changing supplier can help you save a lot of money. What Types of Energy Tariffs Best Suits You? Christmas is Coming! What's New and Exiting Thing You can do this Year? GB's Energy Collapsed! What Should I do? Get more effective tips to save money on gas and electricity bills. What to do when fixed tariff is going to end?